I sometimes have the fancy for treading the off-beaten path when it comes to tourism. 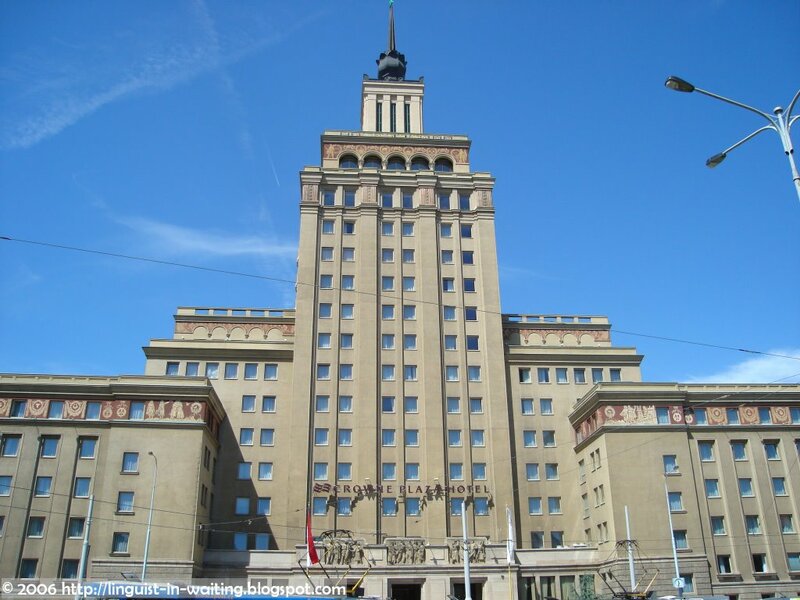 So the other day, I decided to find and see the relics of a political system that was in place in Prague for about half a century, that is, Communism. 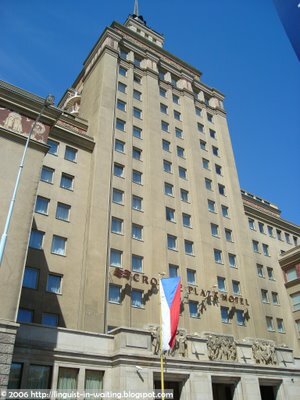 My ever-reliable Lonely Planet had a page worth of Communism-related articles and artifacts that can be found in Prague. So I decided to explore them. Since there are plenty of pictures, I decided the split the entry in two. 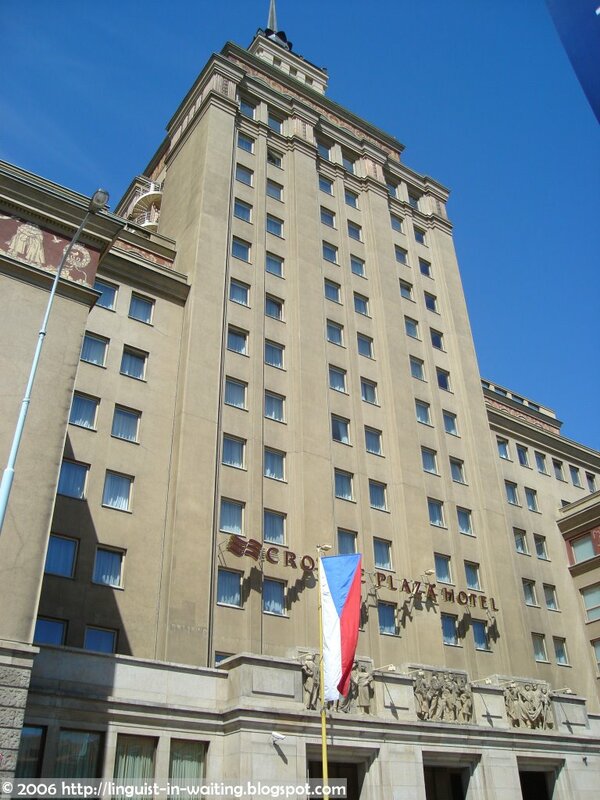 This is the first part, which will consist of Letná Terasa, Hotel Crowne Plaza Prague, and Národní Památník. 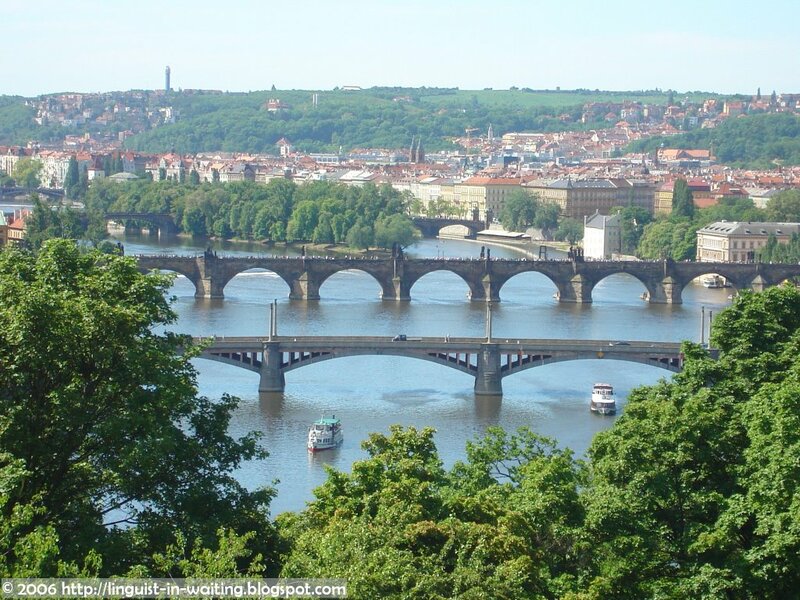 Letná Terasa, or Letna Terrace in English, is an elevated part of the city that is overlooking the Vltava River. 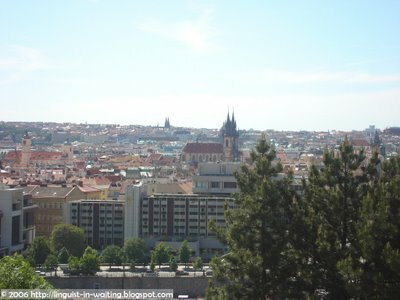 This is the part of the city that faces direct to Čechův Most. 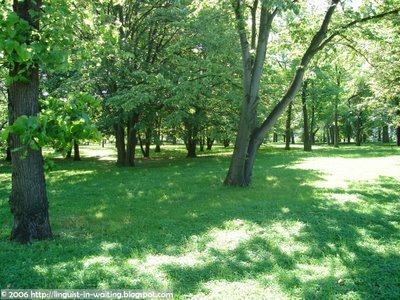 This is a place with plenty of lush green pastures, and it has plenty of steps that one can climb to reach the very top. At the very top is a huge metronome. 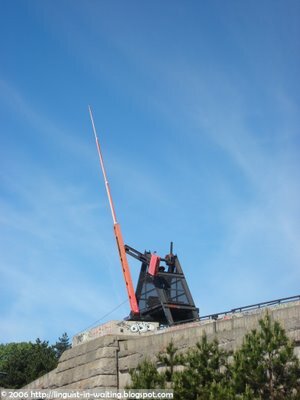 The fact of the matter is, in the beginning, there was no metronome on top of the terrace. 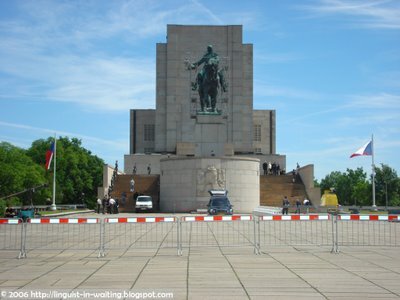 Instead, there was a huge stone sculpture of Joseph Stalin and his associates. The sculpture had the form of four men lined up in a single file, facing the city, with Joseph Stalin at the very front of the queue. Given the location of the hill, it is a very prime spot for an ideological statue. However, in the 1960s, some Czechoslovak citizens put dynamite on the statue and destroyed it. 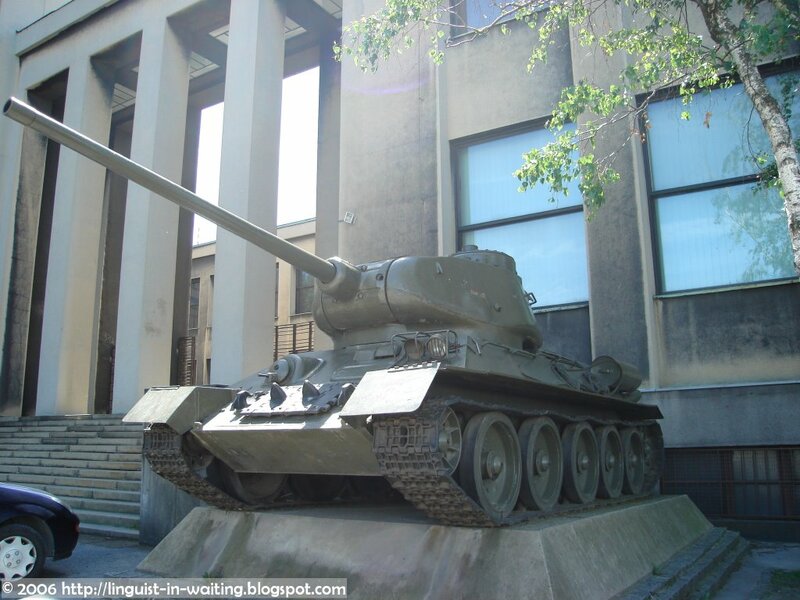 Apparently, not all are happy with the Communist regime. When the Communist era ended, a metronome was installed there to signify the passing of time. 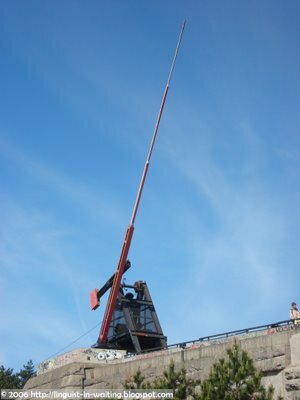 I climbed the terrace and went up to the side of the mechinery that controls the metronome. It made a creeking sound whenever it would swing its bar, and it reminds me of that Charlie Chaplin movie with the gigantic clocks. 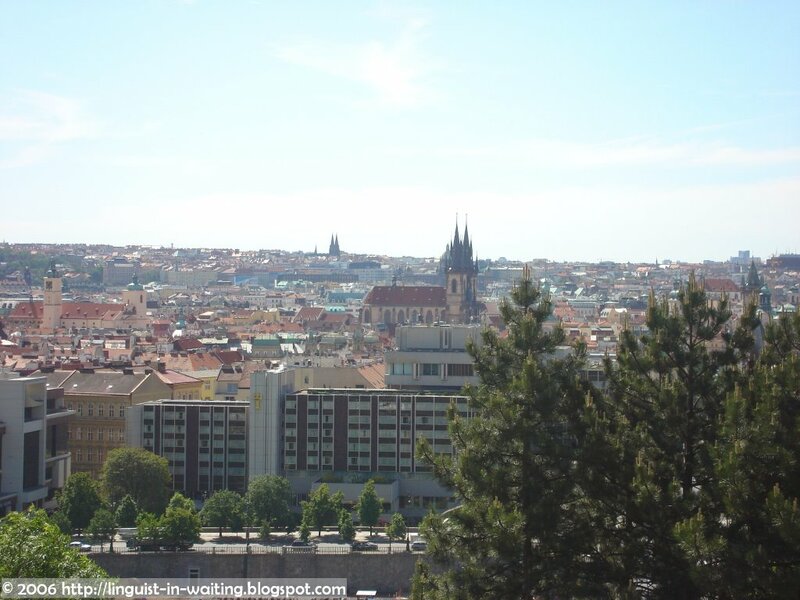 Of course, as with any high structure in Prague, this terrace also commands a great view of the city. 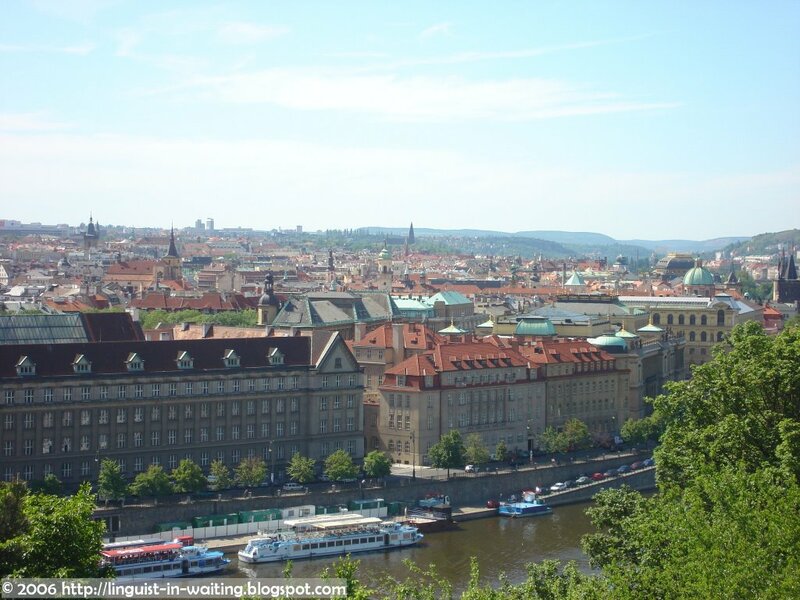 These are the views from Letná Terasa. Notice the last picture, with the numerous bridges that cross the Vltava River. 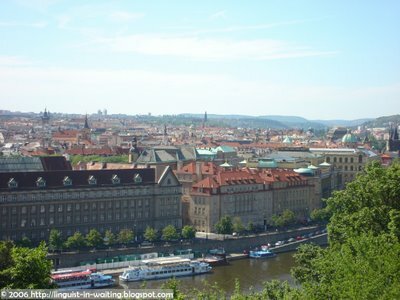 Isn’t Prague romantic? As I said before, beyond the metronome lies a lush green park. 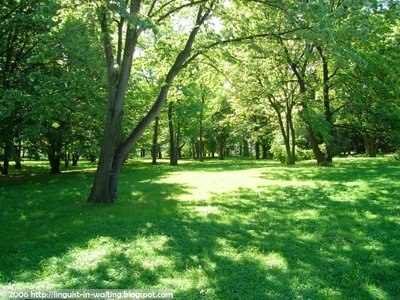 There are plenty of trees, and plenty of people are taking their clothes off to sunbathe and enjoy the spring sun. After Letná Terasa, I proceeded to go to Hotel Crowne Plaza Prague. 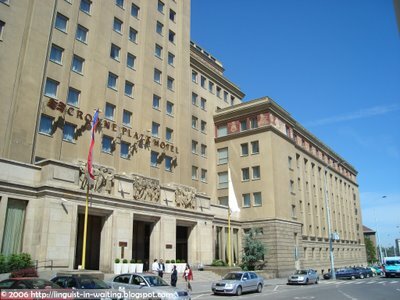 Now what is so special about this hotel? My ever-reliable Lonely Planet tells me that this is a silhouette of a huge Stalinist building. 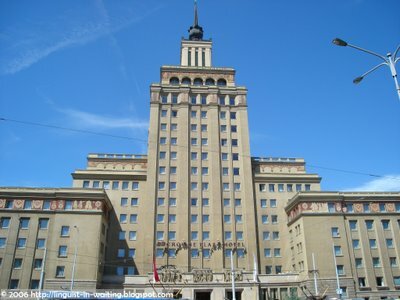 It was built in the 1950s and the design was inspired by the tower of the Moscow University. And the moment the tram pulled up in front of it, I knew I was looking at the right building. Now does this building remind you of that building that was used in the Garbage video for The World Is Not Enough? It also reminds me of the buildings in the movie Sky Captain and the World of Tomorrow. My guidebook told me to take a peek at the marble bar at the right-hand side of the lobby and find a tapestry. So I entered the lobby, turned right, and yes, there was a bar in there. And yes, at the very end of the bar, there was the tapestry. 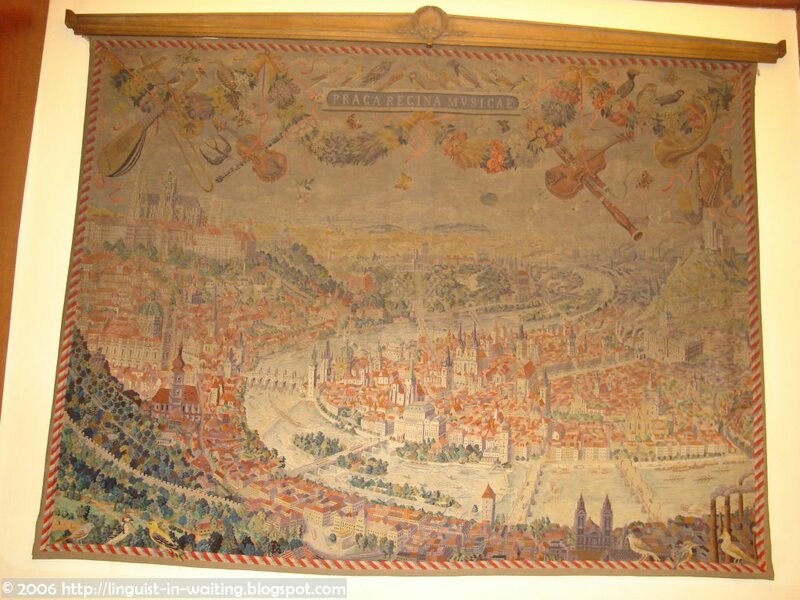 Entitled Praga Regina Musicae (Prague, Queen of Music), it features an aerial view of the city. 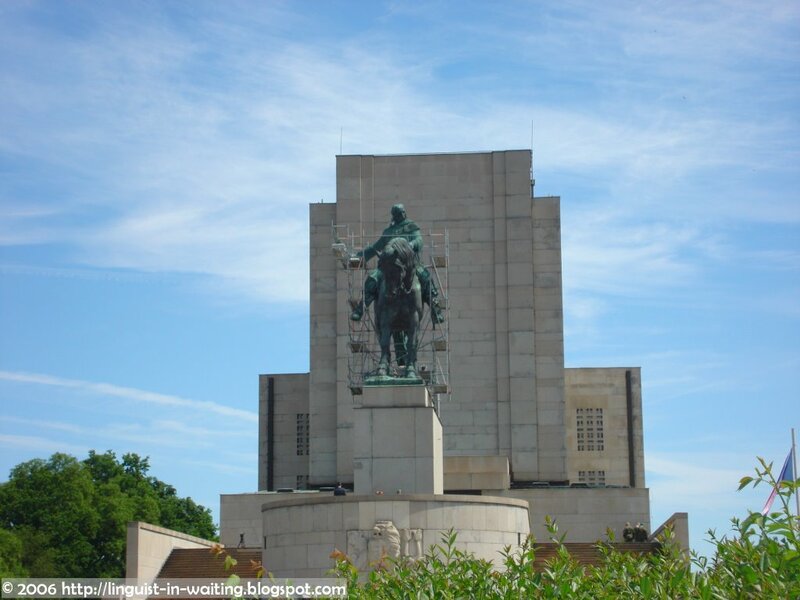 It also shows the original statue of the Stalin in Letná Terasa. So after I found the tapestry, I exited the hotel and then headed south. I then took the metro and got off at Florenc Station, and then walked to Žižkov Hill. 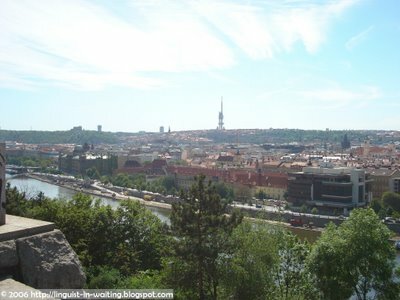 I then climbed the hill to get to Národní Památník, or National Monument. On the way to the top, I saw this tank. 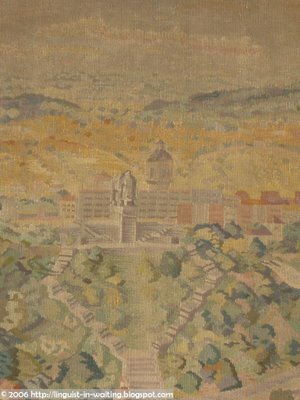 Národní Památník is technically speaking not a Communist relic, because it was completed in the 1930s. 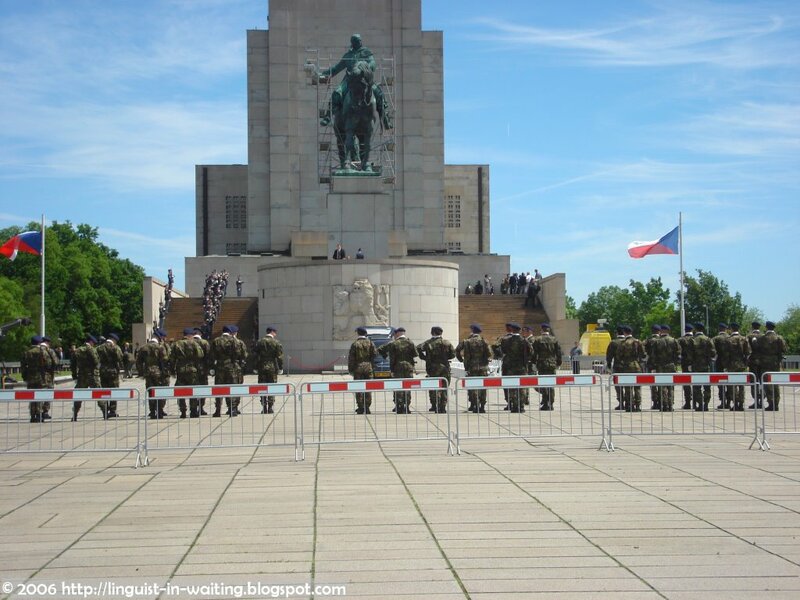 However, for most Czechs, this colossal monument is linked with the Communist Party of Czechoslovakia, and in particular, with the country’s first “worker-president”, Klement Gottwald. As you can see, the statue of the horseman is being renovated. I happened to be at the monument when a funeral was being held. 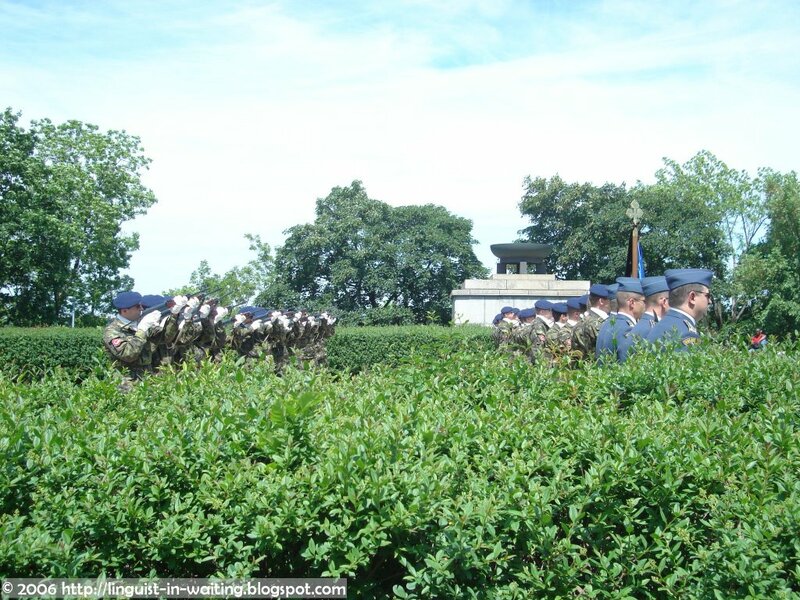 I asked from people later, and it turned out that a war hero had passed away recently, and he was being given an honorable funeral. 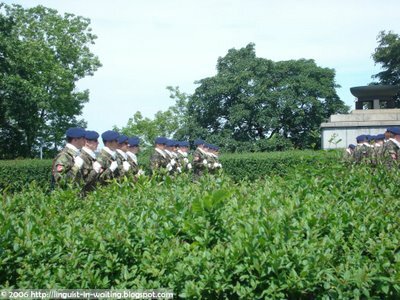 So I took pictures of the military guards giving him the standard gun salute. These are some pictures. 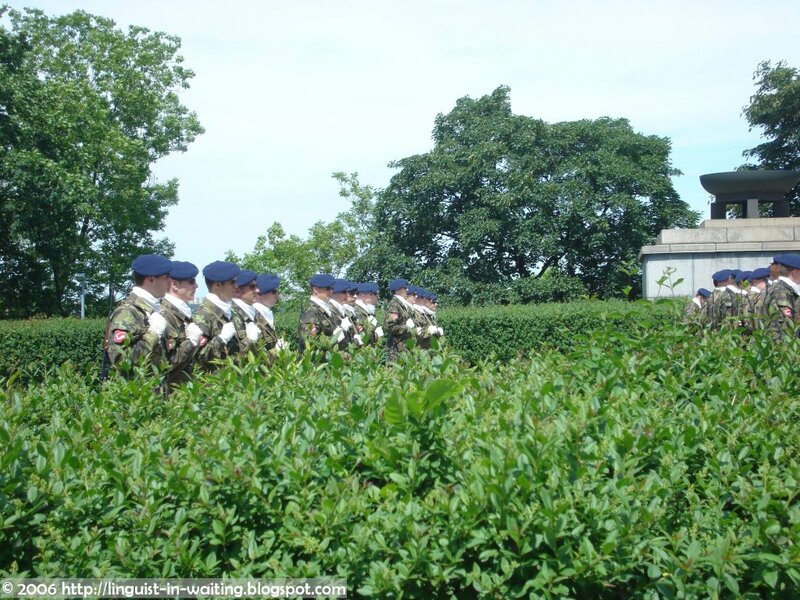 After watching the military exercises, I then trekked down the hill and went to my next destination. In case you were wondering, all the sights I visited in this entry are free. The only thing you need to pay for is transportation. 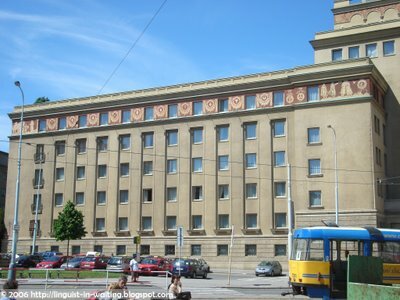 I will conclude my entry on Communist Prague next time, with an entry on the Museum of Communism and the Panelaky.